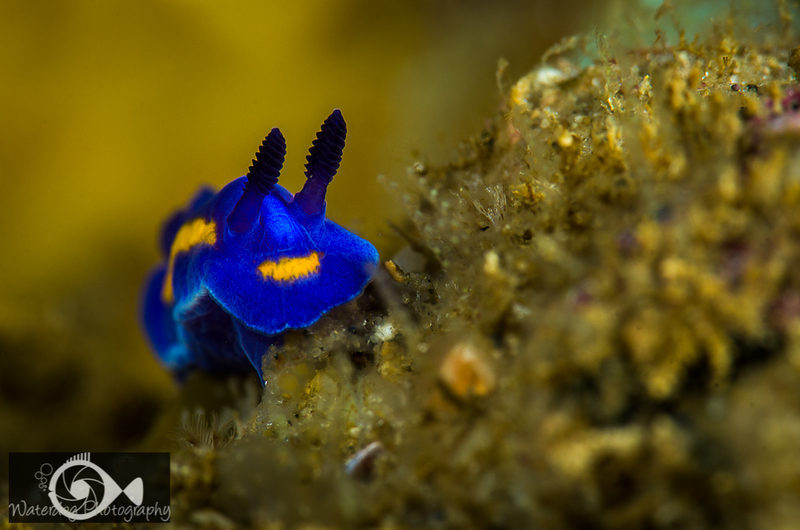 This nudibranch is actually a headshield slug called a Navanax. 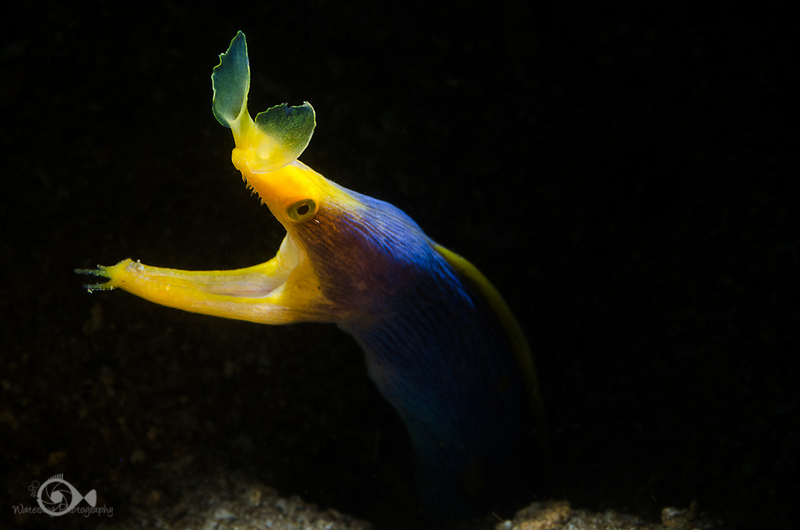 It is carnivorous and will track it’s prey (other nudibranchs) by following their slime trail until it catches them and eats them. 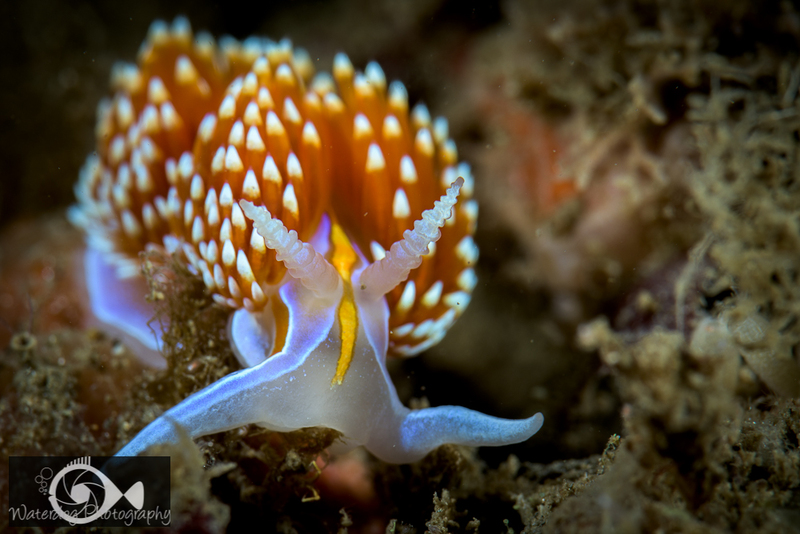 This Hopkin’s Rose is one of my favorite nudi’s. It is very small (about the size of a fingernail). 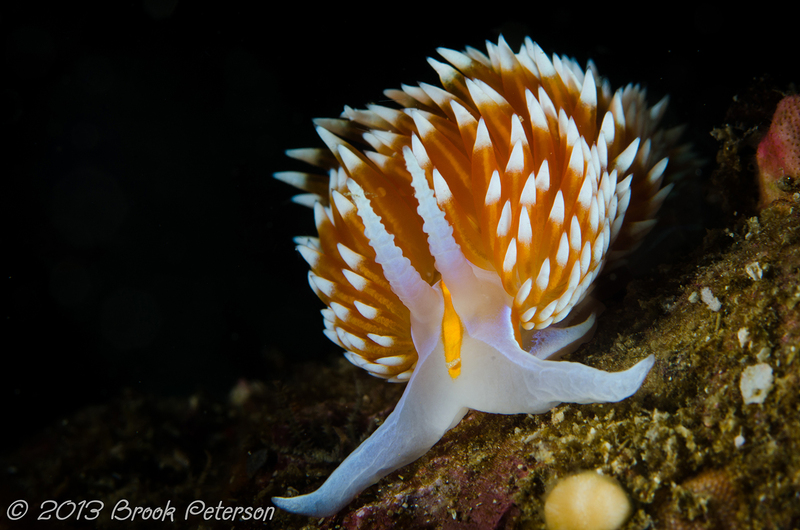 This was one of hundreds of Hermissendra crassicornis that were all over the rocks. I haven’t seen any for a few years, so this was particularly exciting. 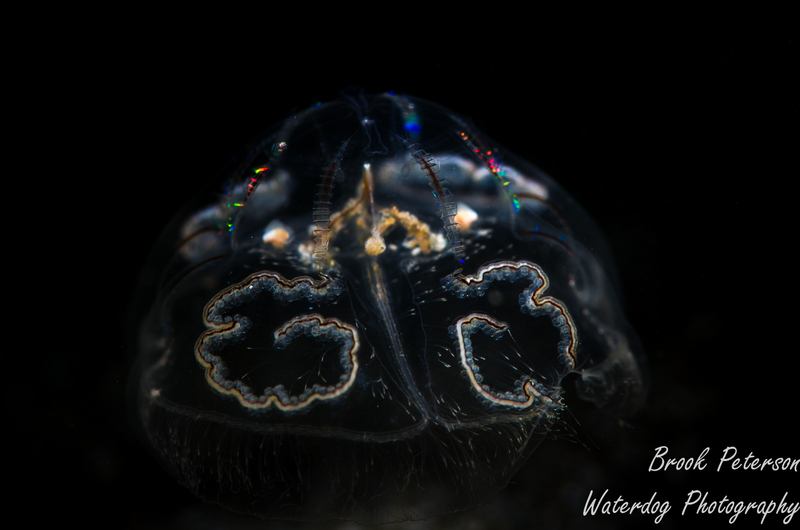 Here is a Porter’s Chromodorid, which is only about an inch long and seems to be proliferating in the Laguna Beach area. Porter’s cousin, MacFarland was also present and accounted for. 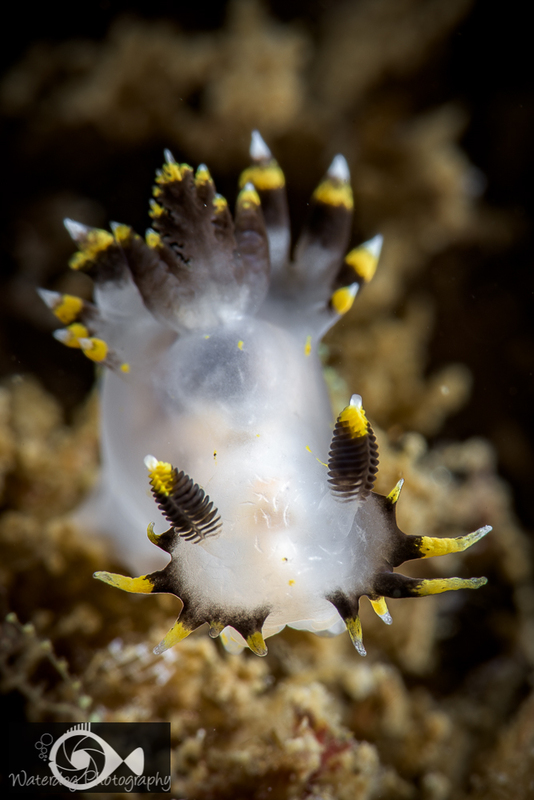 There were so many Hermissendra crassicornis at this site that they were crawling all over the other nudibranchs, including this Diaulula sandiegensis (San Diego Dorid). 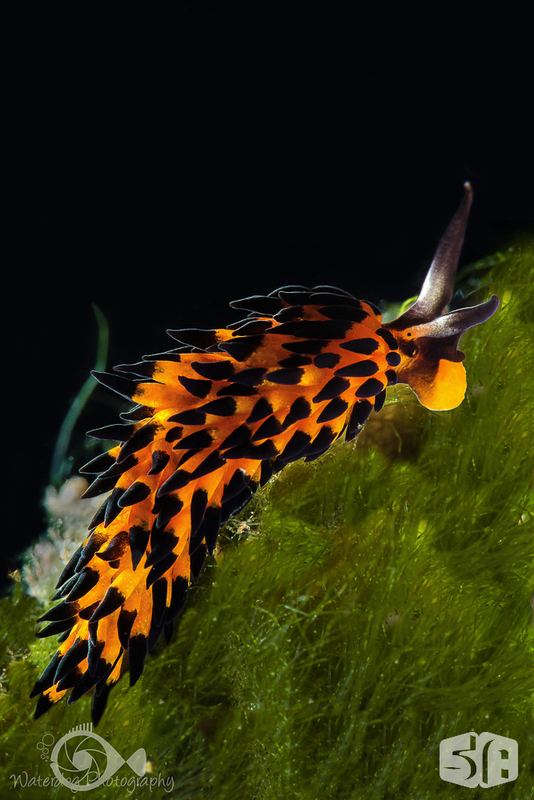 And to my great joy and satisfaction, I found this Polycera tricolor, a nudibranch I have never seen before. 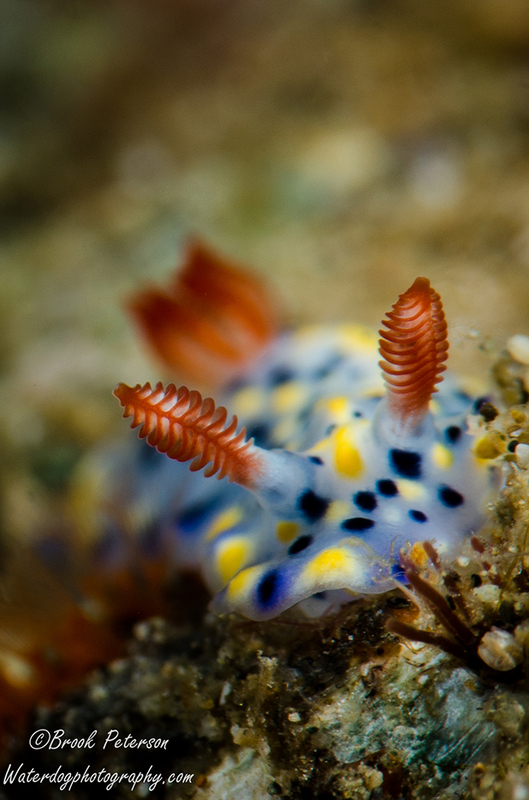 Lately, I haven’t seen the nudibranch in the above picture (which I discovered a year ago at Catalina Island, and which has not been defined yet), There have been reports that it is alive and well on the island and hopefully here to stay in California. 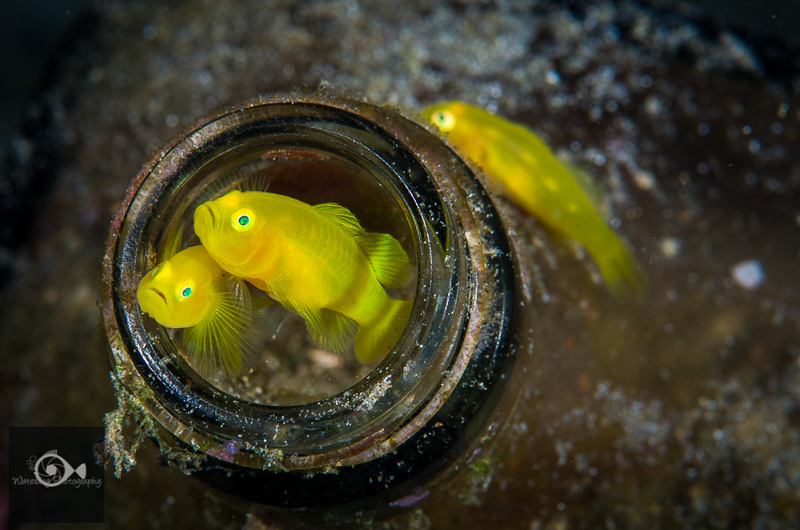 These photographs are taken with a Nikon D810 or D7000 in Sea and Sea Housing using two YS-D1 Strobes. 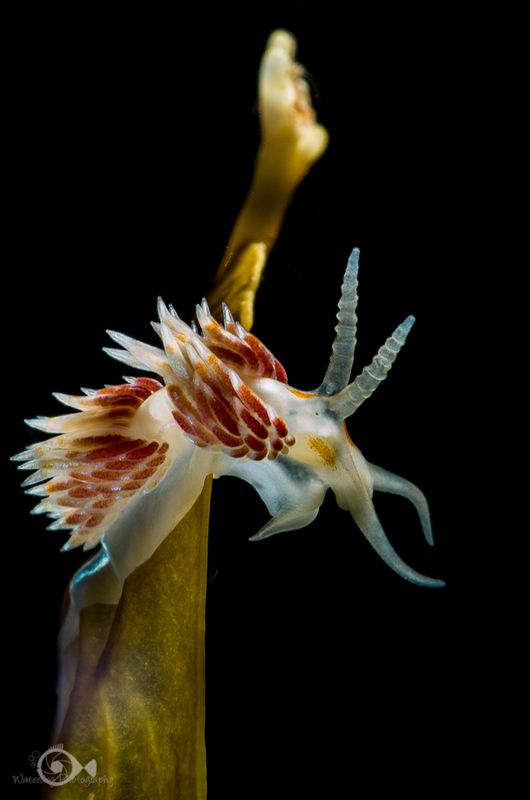 It’s no secret that I have a serious slug crush on nudibranchs. 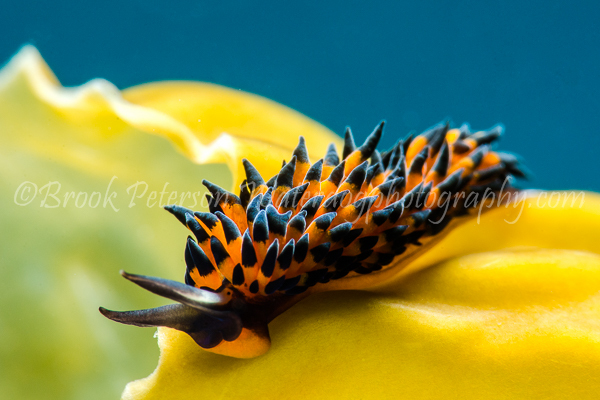 So for Flashback Thursday, I thought I would just share some of my favorite nudibranch images. 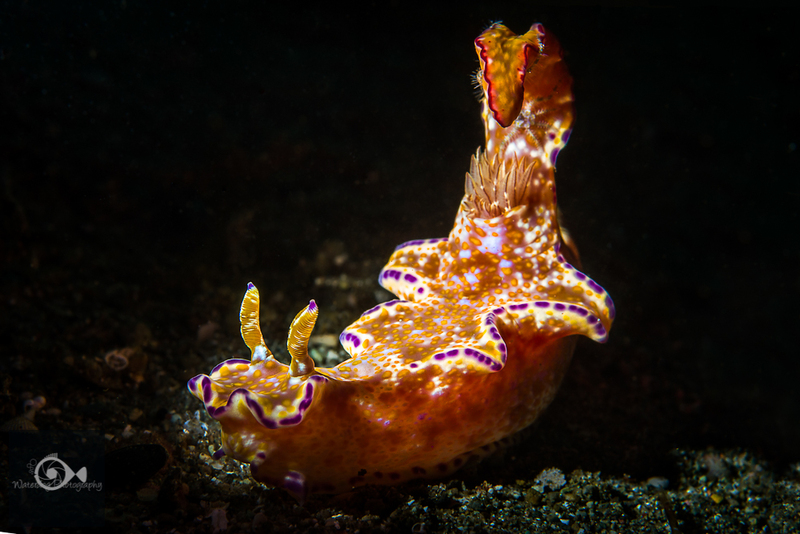 California has its share of beautiful nudibranchs. 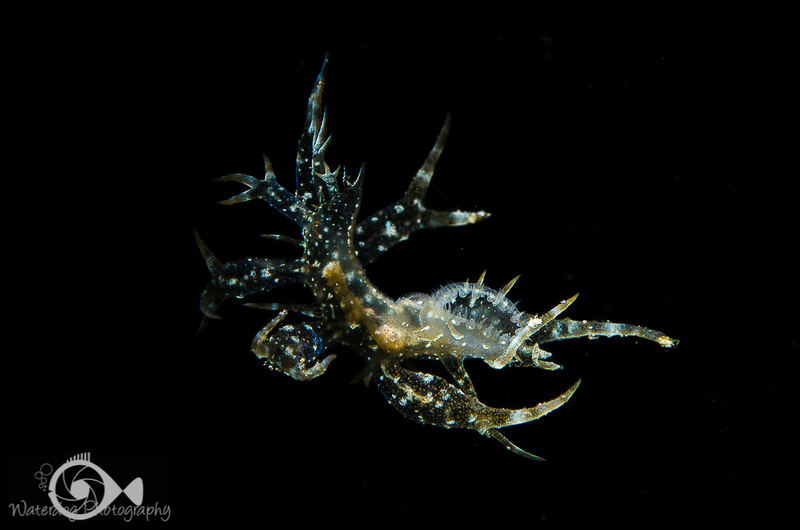 This Hermissendra crassicornis was just a tiny juvenile about half an inch long. 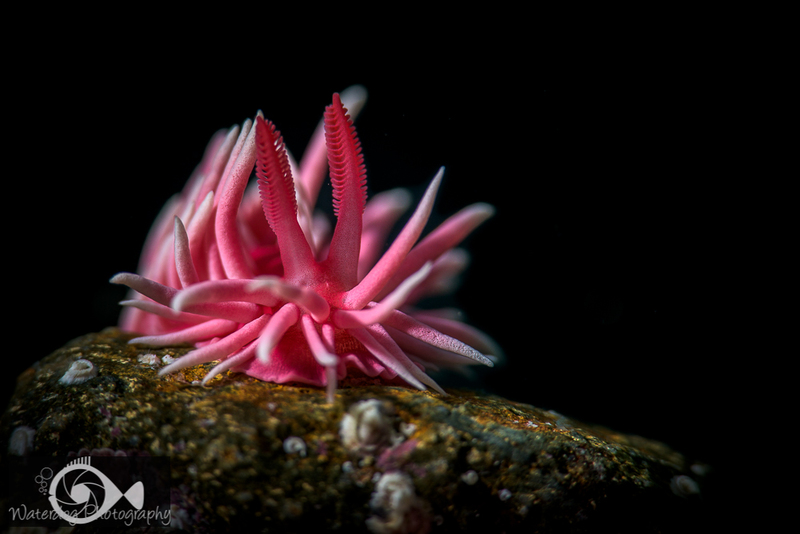 If you enjoy these images, you can get the full story by clicking on any of the “nudiphile” links above. I’ve been for a dive, on a winter’s day. But now I’m California divin’ on such a winter’s day. 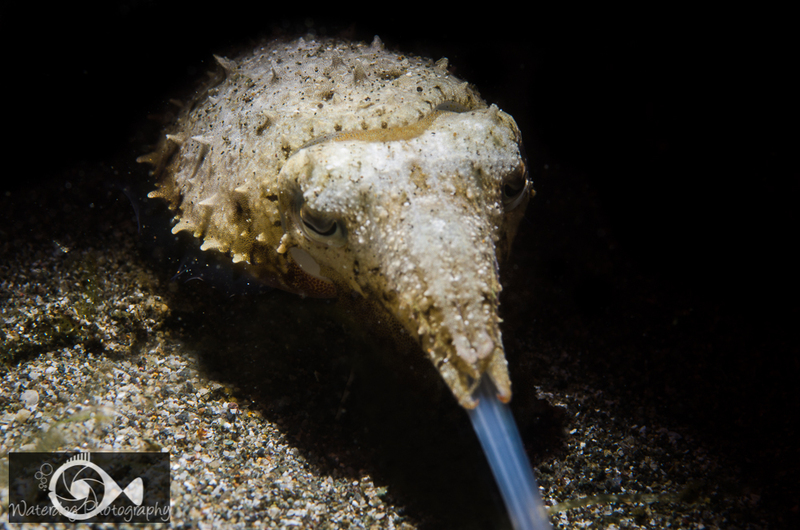 I spend a good amount of time on this blog talking about the exotic animals I have seen all over the far reaches of the world. 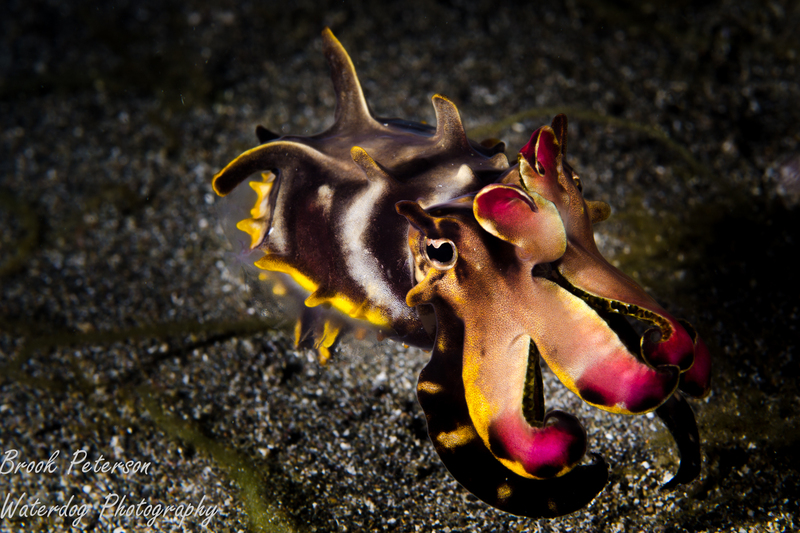 But truly, I spend the majority of my diving time along the coast of California. 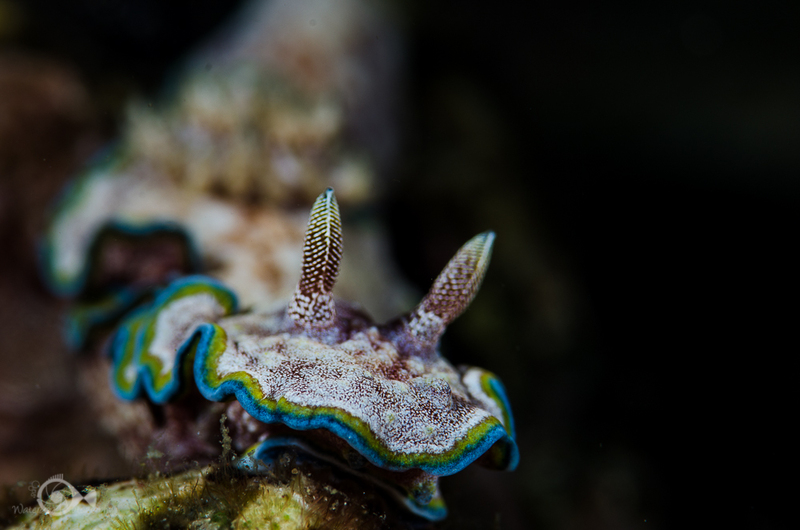 These temperate waters host some of the most interesting creatures in the world, and the topography is unique and beautiful. 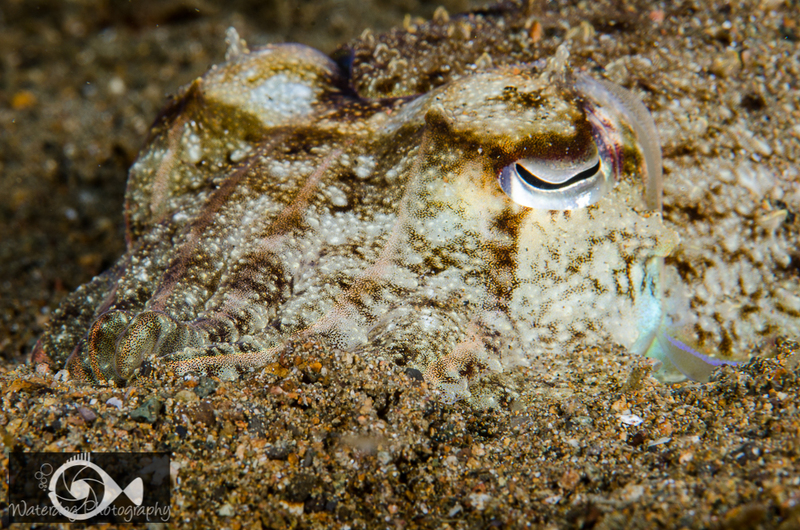 One of the first things my non-diving friends ask is if it is green and murky in our California waters. 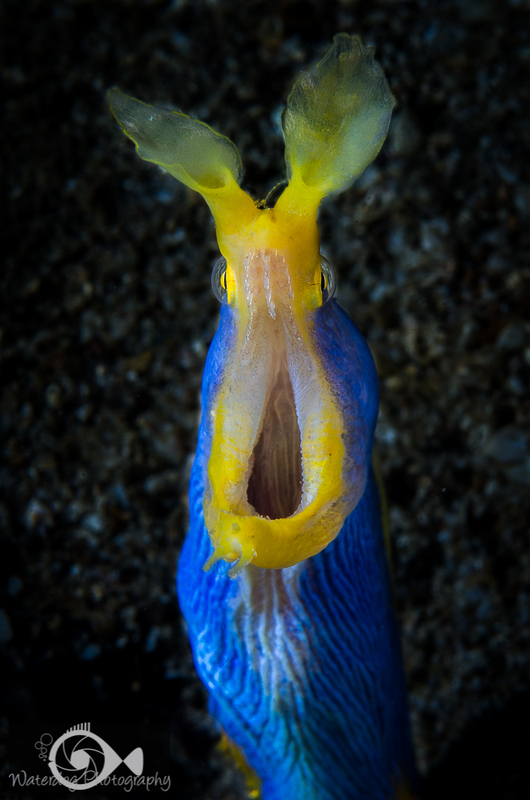 I am here to tell you, that the coast of California can rival the most pristine diving in the tropics. 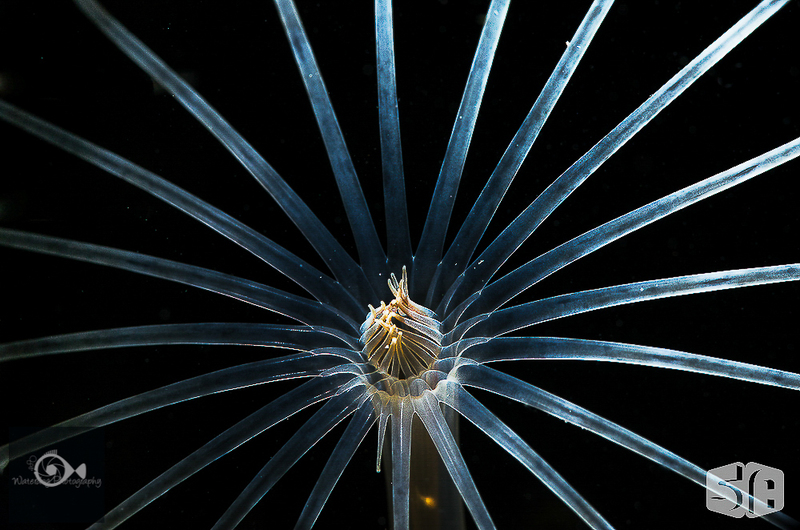 The images above and below show some of the corals that can be found along the California coast. 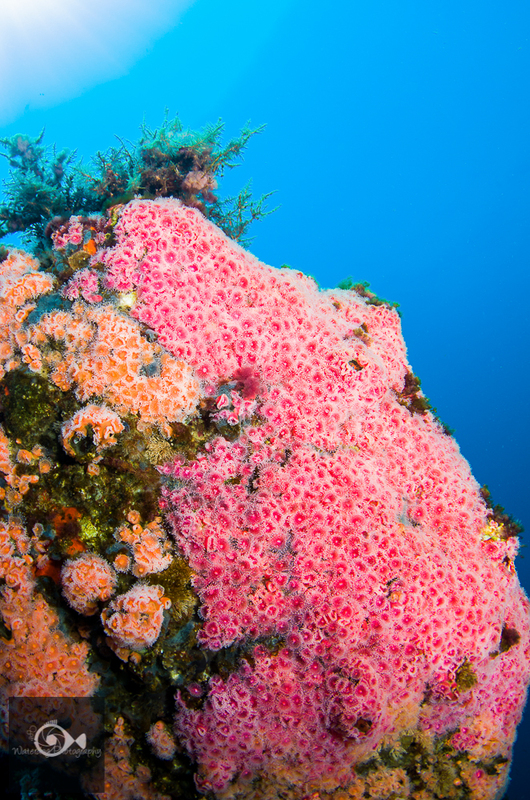 Above are pink and orange cup corals covering a pinnacle at Farnsworth Banks near Catalina Island. 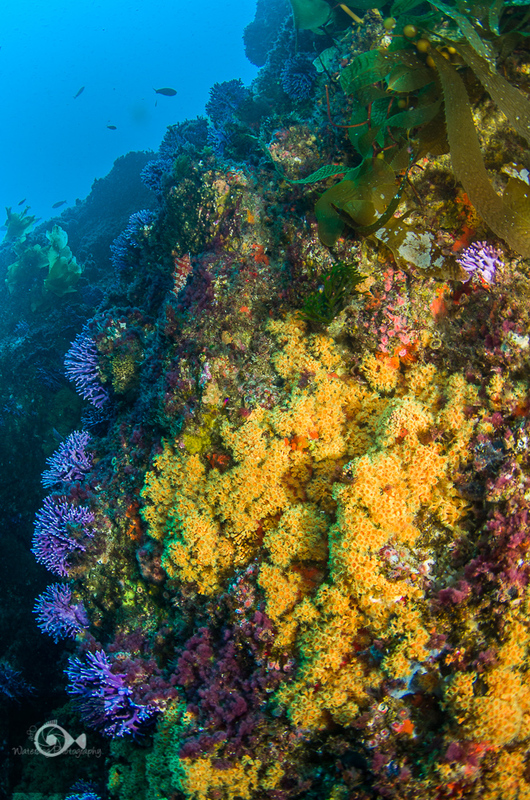 The photo below shows part of a wall there called “Yellow Wall” and also shows some purple hydrocoral, which is found in just a few dive sites along the California coast. 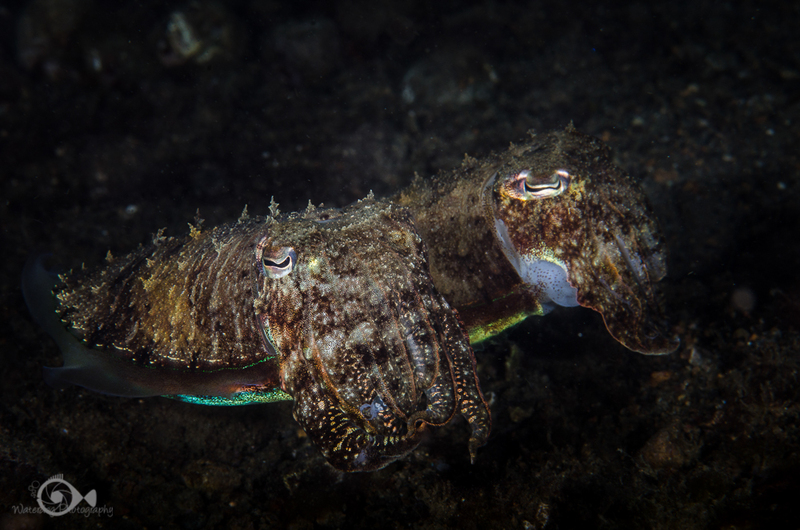 These two images were taken just minutes apart, showing the diversity that can be found on just one site. Another gem of California diving are the oil rigs. 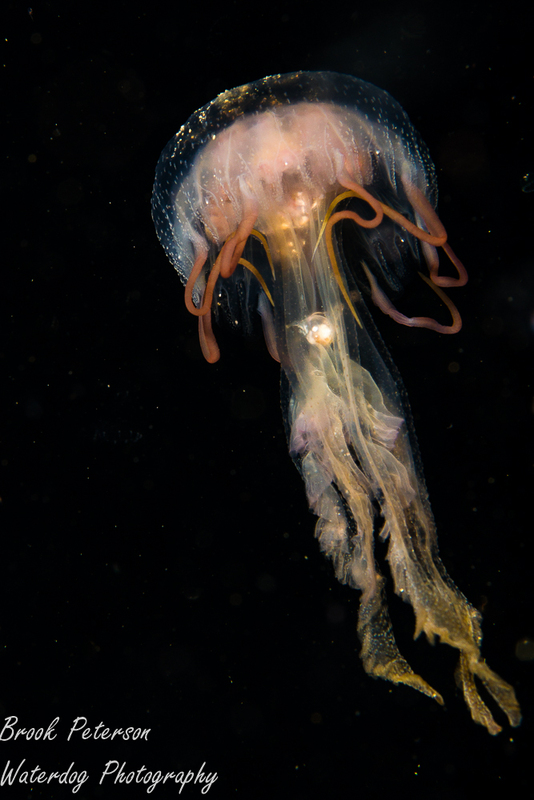 There are only a few rigs that divers can visit, and since there can be current and depths of up to 700 feet, the oil rigs are for advanced divers only. 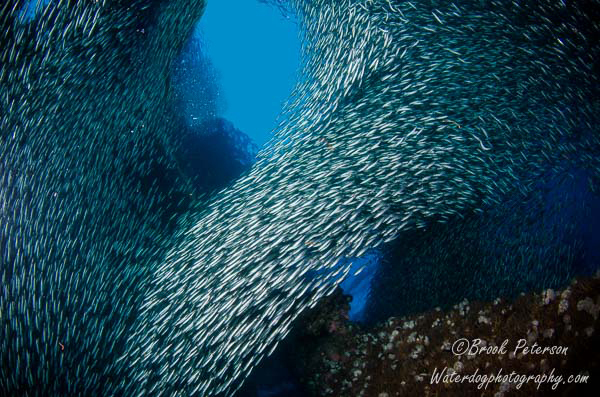 The structure under the oil rigs provides an artificial reef for hundreds of animals. 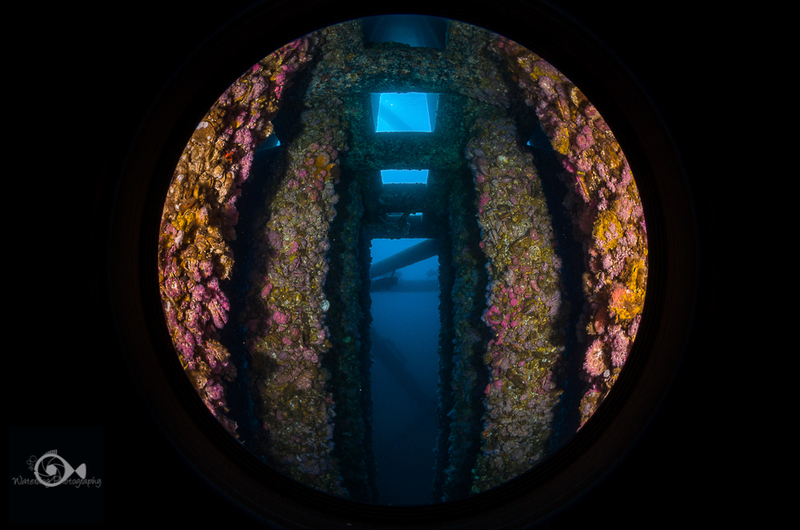 The structure is encrusted with life, and great schools of fish and sea lions enjoy life under the rigs as well. 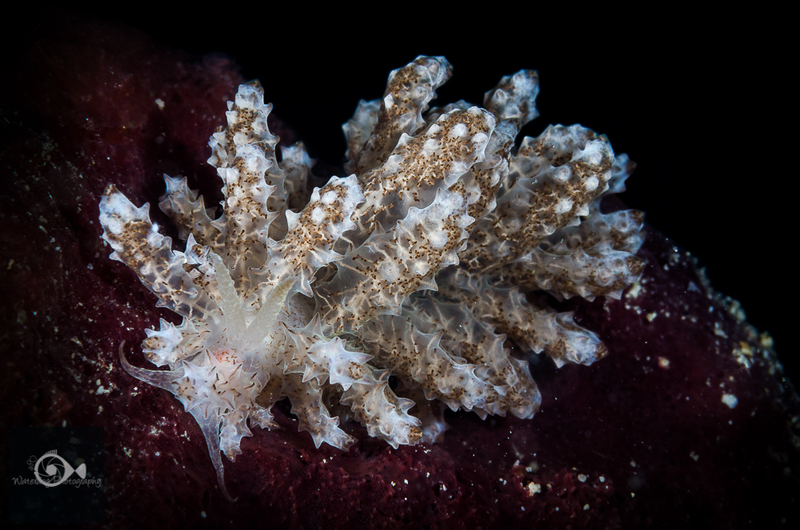 The Channel Islands are a favorite dive destination for local divers as well as world travelers. 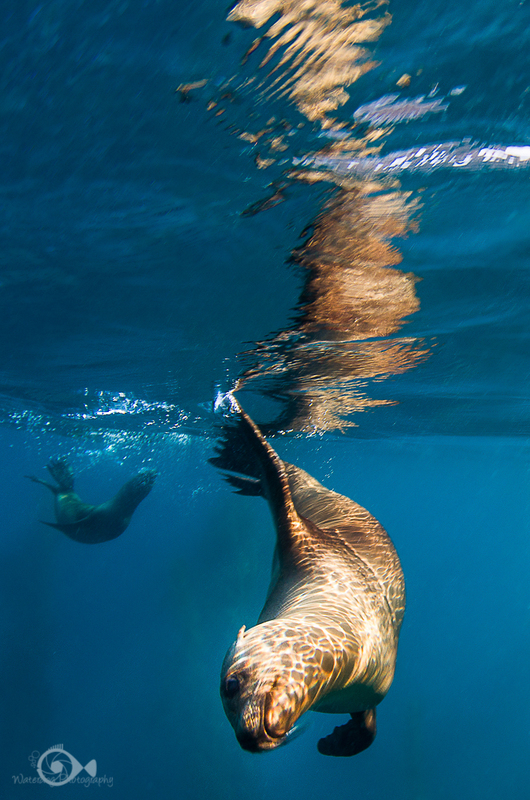 Santa Barbara Island boasts a sea lion rookery where the young curious pups will come out to play around and with scuba divers. 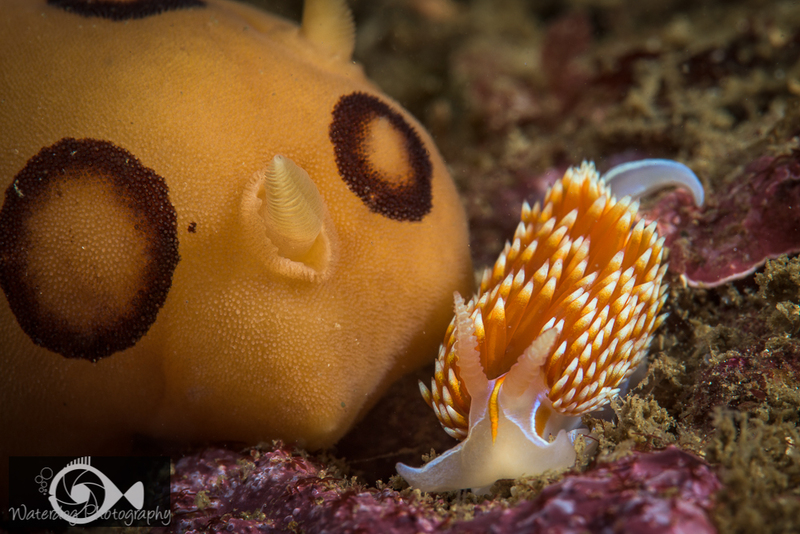 Anacapa Island is loved by photographers for its macro subjects such as nudibranchs and amphipods. 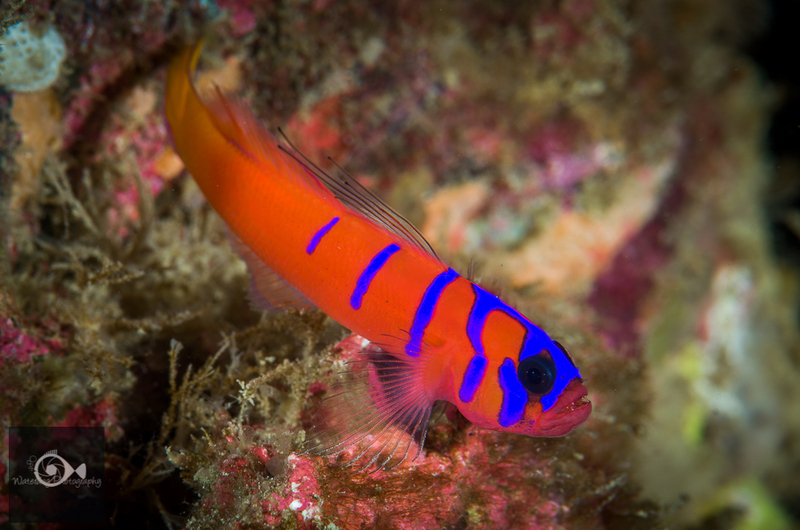 Catalina Island has a large population of blue-striped, orange gobys commonly called the Catalina Goby. 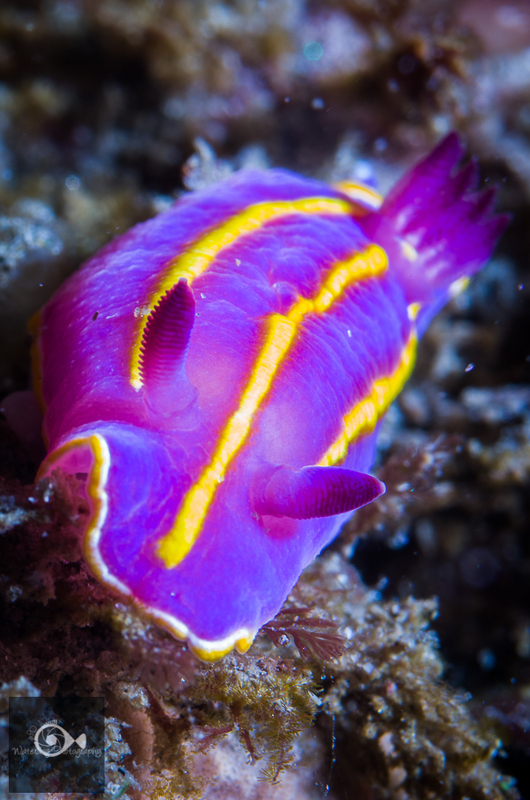 Beautiful fish of all different colors can be found in dive sites all around Southern California, not to mention our own state marine fish, the Geribaldi. 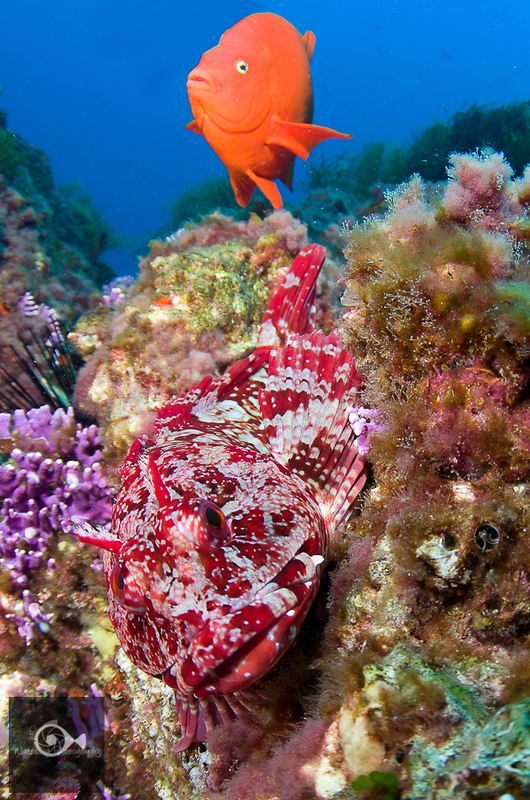 A Geribaldi and a red Cabezon look curiously at the diver with a camera. 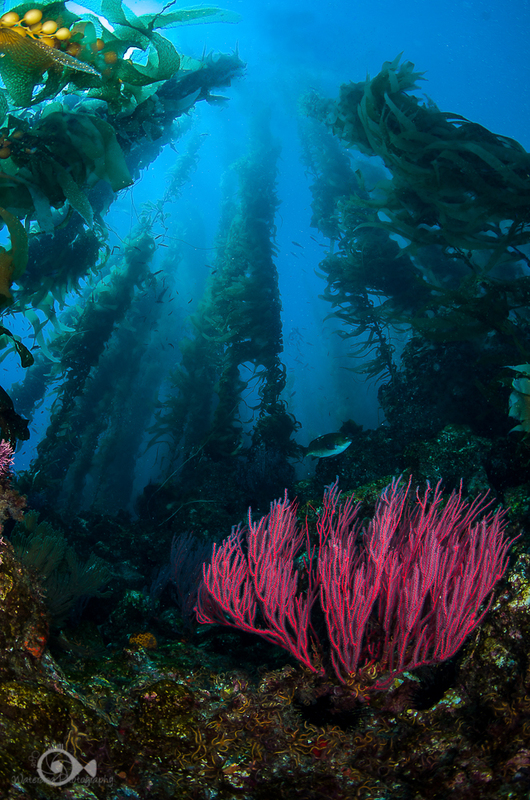 But the one defining feature of diving in California is the beautiful kelp forests. 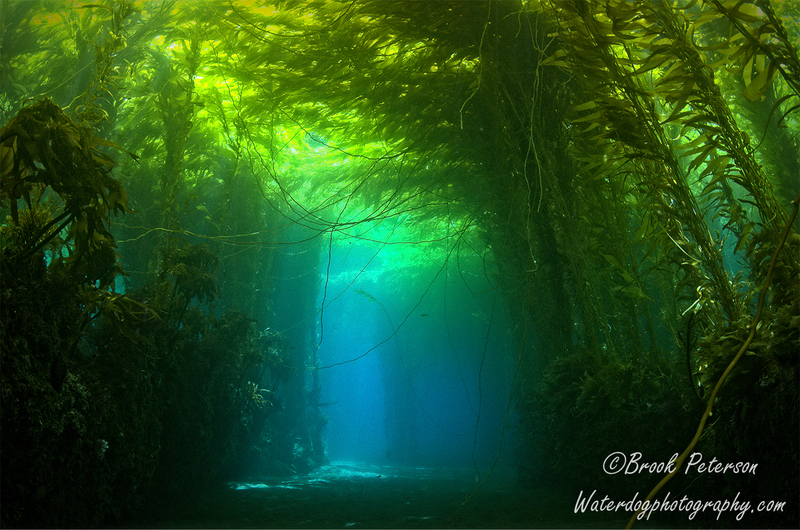 In many ways the kelp reminds me of a forest in a fairy tale. 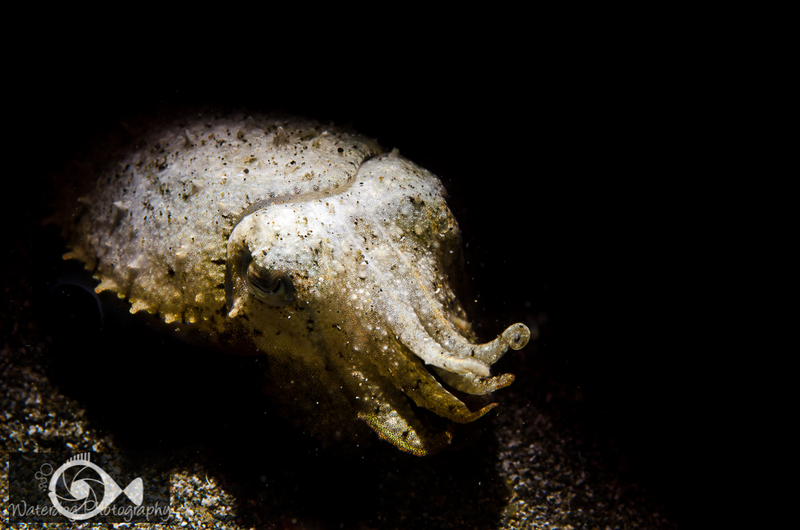 The great thing about diving in California is it doesn’t matter if it’s Winter or Summer. 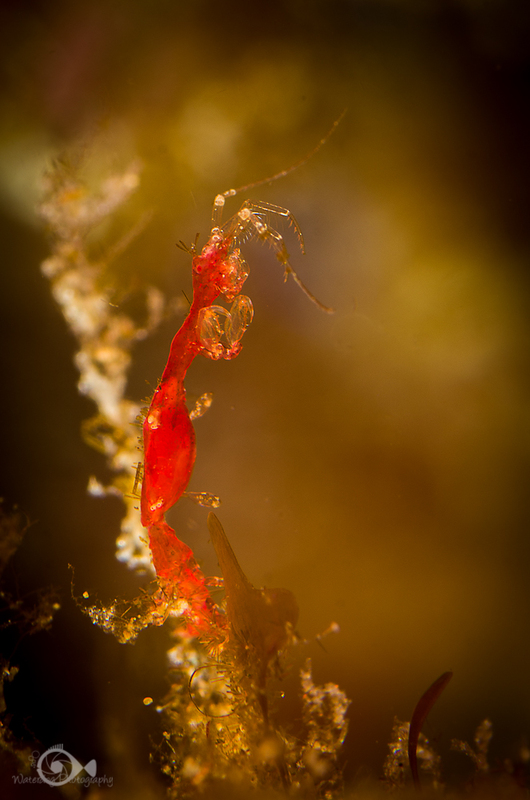 The diving is great year ’round. The water is temperate and requires adequate protection. I recommend a 7mm wetsuit in the Summer and late Fall, and a drysuit during the winter months. 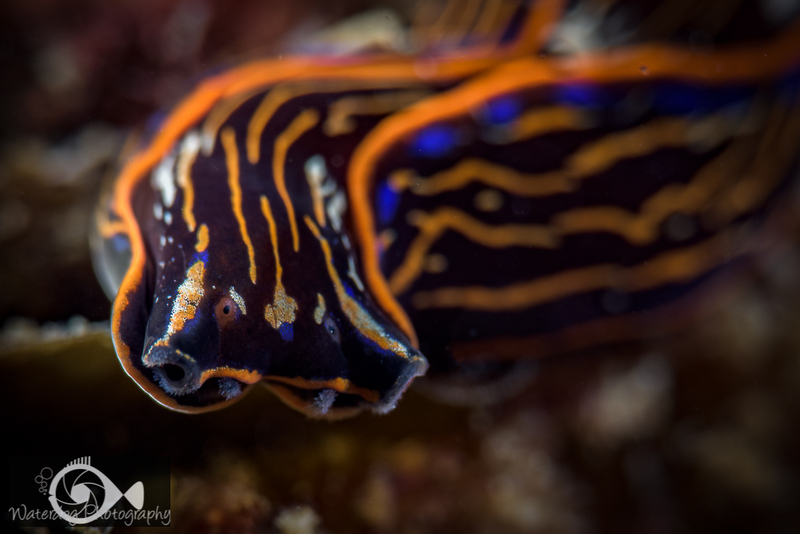 And oh, how I love diving California in the Winter months. California divin’ on such a winter’s day.